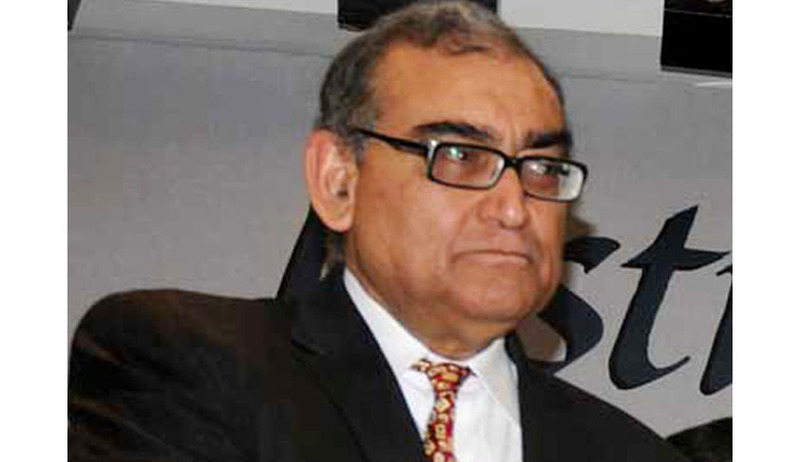 In a recent post on his Facebook page Justice Katju revealed the reason why Justice G.P.Singh-one of the finest Judges in India was not elevated to the Supreme Court”. “One of the legendary Judges in India was Justice G.P. Singh, who was a Judge in the Madhya Pradesh High Court from November 1967, and became Chief Justice of that High Court in July 1978 and retired in January 1984. Justice G.P. Singh was a Judge of the highest integrity and principles, and was also profoundly learned. His book 'Principles of Statutory Interpretation' is still regarded a classic.He was the senior of Justice J.S. Verma, who later became the Chief Justice of India. Justice G.P. Singh deserved to be made a Supreme Court Judge by any standard. The reason why he was not elevated to the Supreme Court is a sad story, but which must be told. After Justice Jagmohan Lal Sinha's judgment which held Mrs. Indira Gandhi guilty of election malpractice and disqualified her, the Government of India decided to pack the High Courts and Supreme Court with 'committed' Judges. Accordingly, some time in the early1980s, the Central Government sent a list of 10 lawyers to Chief Justice G.P. Singh and asked him to recommend these names for being appointed Judges of Madhya Pradesh High Court. Now the traditional practice was always that it was the Chief Justice who initiates the name, by sending recommendations to the Government. Here the process was reversed. On examining these names, Justice G.P. Singh found all these10 persons undeserving to be appointed as a Judge. Consequently he wrote back to the Union Law Minister that he would not recommend these 10 persons as they were undeserving, and he would be failing in his duties if he recommended them. As a result, Justice G.P. Singh was never brought to the Supreme Court, and he retired in January 1984. On his retirement, Justice G.L. Oza became Chief Justice and he immediately recommended these very 10 names whom Justice G.P. Singh thought to be undeserving, and shortly thereafter they were appointed as Judges in the High Court. Justice G P Singh and Justice U L Bhat were among the best legal minds in the country, the Indian Supreme Court had really missed. The reason for non-elevating Justice G P Singh is described by George Gadbois in his book “Judges of Supreme Court of India” (Page-264 OUP 2011). He says “Justice G P Singh had an excellent reputation but he had run afoul of the Congress(I) Government in Madhya Pradesh, particularly by refusing to accept certain Government nominees for Judgeship”. According to Justice K T Thomas, “Justice U L Bhat is an outstanding judge. Even his critics would admit that fact. Non-elevation of judges like him to Supreme Court resulted in a great loss to the Supreme Court itself.” Justice U L Bhat was the first victim of the Collegium system of appointment of Judges. Justice K S Paripoornan, who was about two and a half years junior to Justice Bhat in the Kerala High Court was appointed as a judge of the Supreme Court superseding Justice Bhat. Justice Venkatachaliah later revealed to Justice Bhat that “my colleagues feel that you are irreverent to them. (1) The Collegium system has been artificially created by Judges in the Judges cases, since there is no mention of a Collegium system in Article 124(2) of the Constitution. The Judges virtually amended the Constitution in the Judges cases, which could legitimately only be done by Parliament under Article 368 of the Constitution. (2) The Collegium systrem should be replaced by a National Judicial Commission consisting of 7 members, viz. the first 4 senior most Supreme Court Judges( i.e. the CJI and the next 3 senior most Judges), the Law Minister of India. the leader of the opposition, or if there is no leader of the opposition, the leader of the largest opposition party in the Lok Sabha ( or his/her nominee), and a distinguished jurist appointed by the President of India. Thus the Commission will have a majority of Judges, and thus the dominant voice will be of Judges. However the Government and the Opposition will also have a say in the matter. (3) This 7 member Commission should first do a pre-scrutiny and then prepare a list of eligible and meritorious persons whom they have selected for being considered for appointment. (4) The candidates in this list should be called for hearings before the Commission, which should be televised so that everyone in India can get to know about the proceedings. In these hearings the Commission members can, and should, ask the candidate about his past career, his views on several issues of public importance, and even his personal life. This is the process followed in U.S.A. when candidates nominated by the President have to appear before the Senate, where they are asked several questions’.